The Yaris Hybrid is a landmark car. 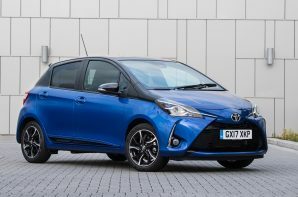 Toyota has already demonstrated that it can make the Prius into a mainstream contender whilst still making a profit and that it can fit the system into the Auris, but there was still a big question mark over the feasibility of making a full hybrid supermini. The Yaris is proof that it is possible. In order to squeeze the hybrid system in, Toyota started with a blank sheet of paper and designed the Yaris from the ground up to take the system. To save space the Yaris uses a 1.5-litre petrol engine which is 10% smaller than the 1.8 used in the Prius and Auris. Further gains come from the electric motor which is 20% smaller, the gearbox (6%) and electronics (12%). One of the benefits of this approach is that the boot and interior space is identical to the conventional Yaris. The tried and tested nickle-metal hydride battery pack lives under the rear seat which means that you get a split-fold rear seat too. So, there is no loss of practicality, this really is a fully functional supermini hybrid. The hybrid Yaris is a miracle of modern engineering but it isn’t all good. Top of our hit list is the driving experience. Unfortunately ‘fun’ and ‘Yaris Hybrid’ won’t appear in print too often. The conventional model isn’t particularly engaging and adding the hybrid system hasn’t helped. Also the interior lacks a bit of style and isn’t quite as plush as the best in class. If we’re being honest we weren’t expecting the Yaris Hybrid to be great to drive, but the price is a pleasant surprise. It is in the same ballpark as the more expensive diesel contenders, which didn’t look likely given the full hybrid set up. In addition to the excellent CO2 emissions, NOx and PM emissions are very low too, something that the diesel rivals can’t match at the moment.